SIMAX ERP is the most adaptable, programming-free solution on the market. The solution’s success in international industry competitions has demonstrated its effectiveness upon numerous occasions. Our approach is to make the software adapt to the company, and not the other way around. More than any other solution, SIMAX ERP promotes business strategy differentiation to offer real corporate benefits. SIMAX ERP is a comprehensive solution that provides a range of standard modules to reduce IT budgets. This includes integrated messaging, scheduling, electronic document management (EDM), statistics, dashboards, and more. SIMAX ERP is a connectivity champion for clients who are already working with external software. Featuring SOAP and REST Web services, direct database access, import/export, and more, SIMAX ERP interfaces with many software programs, such as Outlook, Exchange, CAD tools, MS Office and Open Office suites, business objects, websites, and merchant sites. It is often said that “it costs ten times less to retain a customer than to find a new one.” SIMAX ERP gives users the ability to consolidate and build customer portfolios, follow up on marketing and business development, and drive their sales function effectively. Beyond the core focus on employees and a company photo gallery, you can use SIMAX to monitor contracts, qualifications, and even executive performance. Gather salary-related details, such as vacation time and overtime, for your payroll solution. A true SRM (Supplier Relationship Management) solution, SIMAX provides efficient tracking of suppliers, contracts, and terms of sale. The solution also helps facilitate sourcing by measuring supplier quality. Use SIMAX ERP to define articles and prioritization standards accurately for quick searches. Set net prices or discount rates per customer group, in minimum quantities (column rates) or by date ranges (promotions). Did you know that a 1% improvement in purchasing helps company profit as much as a 10% increase in sales? SIMAX includes a complete purchasing module to optimize procurement and manage budgets. Our goal is to help you sell more and sell better by being able to provide clear and attractive quotations to facilitate processing. SIMAX CRM provides efficient tools for following up on order and contract status. Sales forecasts and reporting features enable you to track objectives and anticipate future trends. SIMAX helps manage billing so that your company is sure to invoice on time. Extra expenses can be billed automatically and do not have to be added manually. Invoicing becomes clear and simple, both limiting time spent on validation and speeding up payment. SIMAX provides cash register management using a standard PC. This solution can be combined with a bar code reader, receipt or check printer, credit card terminal, and cash drawer. SIMAX facilitates cash register opening, cash receipts, journals, and cash register closure. SIMAX interfaces with CAD (Computer Aided Design) solutions, allowing you to create parts and product lists, and product ranges. A full range of tools are available, including PDP, net requirement calculation, capacity balancing, finite capacity scheduling, visual scheduling of machine usage, time tracking, calculation of industrial cost prices, and CMMS (Computerized Maintenance Management System) outsourcing. Use SIMAX to manage both customer projects and internal projects. Set budgets, priorities, and schedules. Assign tasks, milestones, deadlines, and deliverables. SIMAX performs invoicing automatically according to the chosen method (real, due date, or lump-sum based actual progress). To optimize and secure your stock, with or without a bar code reader, SIMAX tracks all stock movements, informs you about non-moving stock, and calculates optimal restocking levels, while avoiding human error. Anticipate and collect quickly thanks to SIMAX's cash-flow forecast and collection engine. SIMAX handles multiple payment methods (direct debits, transfers, checks, drafts, etc.) and manages files in standard banking formats, notably SEPA and CFONB. It also allows you to import bank statements to facilitate reconciliation. The solution automates lettering if amounts match, or if the reason for discrepancy is known. SIMAX account management automatically generates invoices, purchases, payments, and cash and expense reports. The solution manages auxiliary and analytical general accounts, going as far as closing, and drawing up balance sheets and profit and loss accounts. The tool interfaces easily with your accountant’s software package. SIMAX CRM provides new service management tools to create service tickets from email automatically and prepare fast and easy answers for standard cases. For clients who want to take it further, SIMAX CRM can handle knowledge bases, fleet management, maintenance contract management, tracking guarantees, intervention scheduling, preventive maintenance, and much more. Monitor your business according to ISO standards. Define procedures, enter non-conformities, monitor supplier quality, and implement preventive and curative action. Graphical dashboards integrate quality indicators. Because ERPs are produce and collect large amounts of documents, SIMAX includes its own basic Electronic Document Management tool that references documents with keywords and accesses them whenever needed (customer forms, project sheets, fact sheets, article sheets, etc.). Dowload the demo version of our ERP for free! 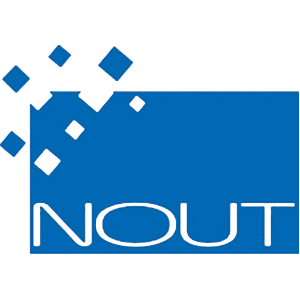 Become a new NOUT partner today!